I have been using Keynote for all my presentations for more than 2 years now. Although it may not have all the bells and whistles of the biggest presentation software in the market, it does offer simplicity and some rather interesting features that I can’t do without these days. If you are drowning in powerpoint, or if you simply want to stand out in an industry that is filled with the same old stuffy “business” templates, give Keynote a try. It may surprise you. Recently I conducted a short workshop on Keynote 101 at Twitter’s office and as the staff can attest, it definitely infused a new sense of possibility and renewed creativity. So here are my top 3 favorite features. Instant alpha allows you to quickly remove the background of an object in a picture. It will not work with busy or gradient backgrounds but it is a lifesaver when you just want to quickly cut out an image without the use of professional (read complicated) software like Photoshop. 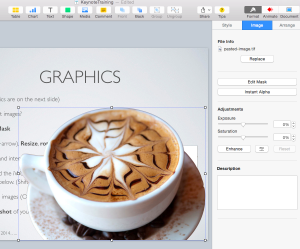 Granted, this feature is also available in Powerpoint but I find that it works better in Keynote for some reasons. I am sure many of you have to present ideas and numbers to clients and who really want to see those boring charts and tables magnified and projected onto a screen, right? Keynote has some very nice animations for charts and tables that add to the visual presentation of statistics and trends. Plus they are not at all tacky. That is a major plus point. Forgot to bring your clicker? No problem. Keynote has a handy feature that allows you to connect with your iPhones (I don’t think it will work with Android phones for now). 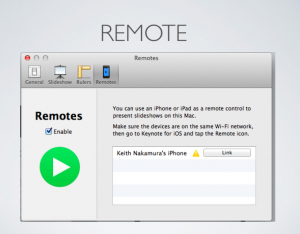 It also serves as a remote track pad so you can move the cursor around if you want to click on something remote. 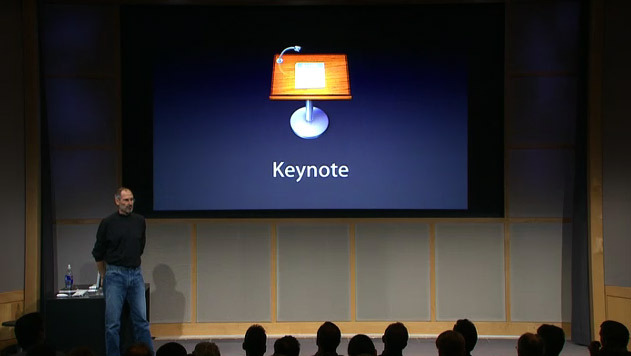 There are many more features in Keynote but what I really appreciate is the simplicity of its UI. It does not distract you and most of functions are self explanatory and easily discoverable. Give it a spin today and let me know what you think. Update: You do not need a Mac to try Keynote. It is available as a webapp and all you need is an iCloud account. « 6 Things That Can Help You Overcome Presentation Jitters.